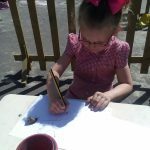 The children have been really interested in the minibeasts in the garden. 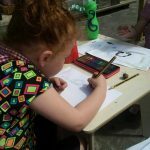 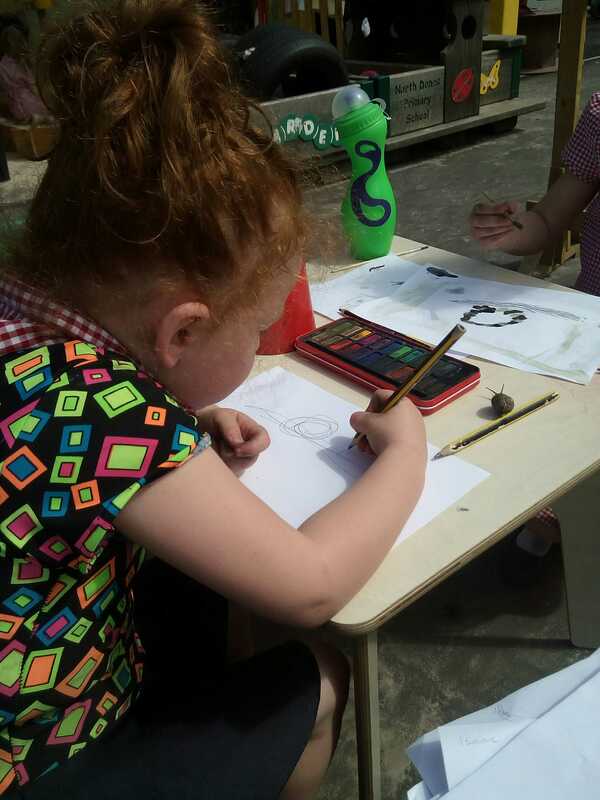 When we found a snail one afternoon, we used the opportunity to practise our observational drawing. 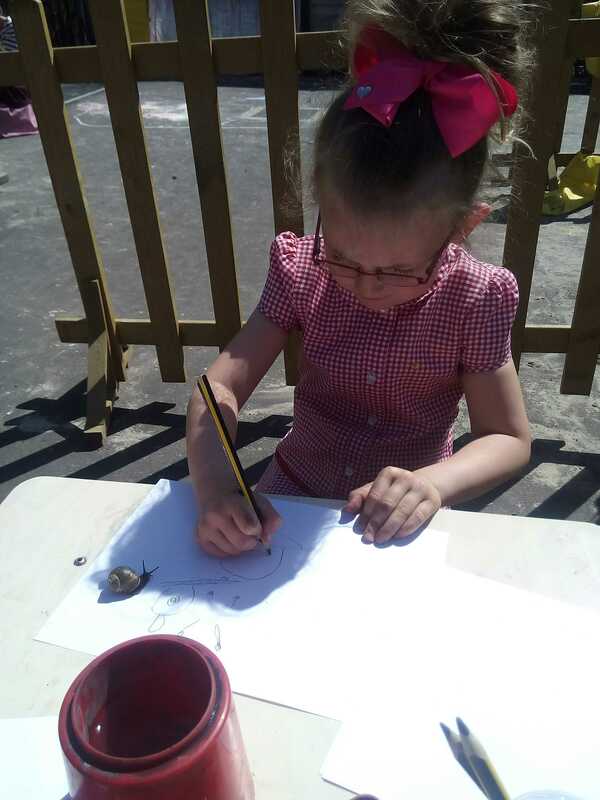 The children did a brilliant job and really took their time looking closely at the snail and drawing what they could see.